From Indonesia to Ireland, here are five of my favorite independent hotels to inspire your next escape. Indonesia - Nihi Sumba - The story of Nihiwatu began as far back as when Sumba’s ancestors, the ‘marapu’ landed on its secluded beach centuries ago. 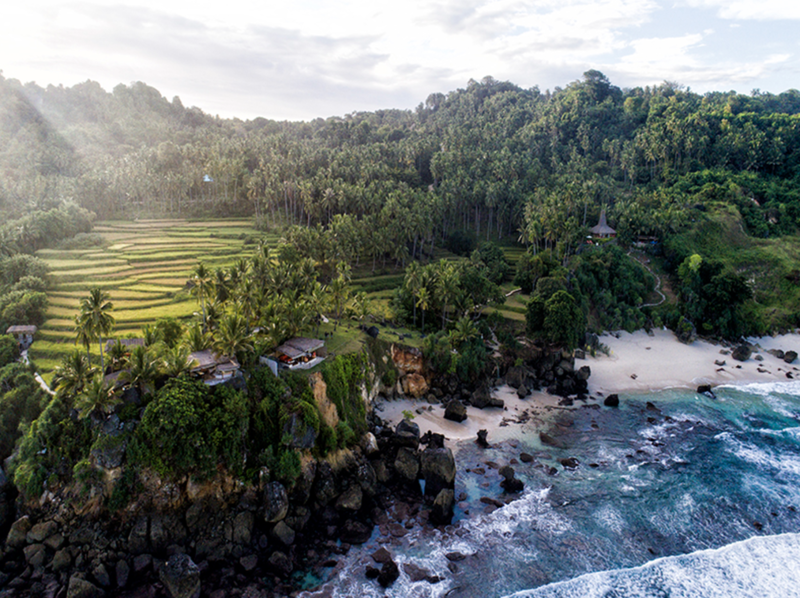 Whilst beliefs relating to their powers may vary, their spirit has remained a benevolent force, protecting the way of Sumba life and in attracting significant custodians to ensure the spirit and stories of the Sumbanese people – past and present – carry on. Awarded the #1 Hotel in the World by Travel + Leisure magazine in 2016 and 2017, guests enjoy adventures ranging from world class surfing and fine dining to cultural immersion in total barefoot luxury. India - Umaid Bhawan Palace - Built between 1928 and 1943 by Maharaja Umaid Singhji as a symbol of the new Jodhpur, Umaid Bhawan Palace is one of the world’s largest private residences. Welcoming guests with just 64 rooms, the palace is unique and maintains its status as the primary residence of the Jopdhpur royal family. Not to be missed is the opportunity to enjoy a private tea with the Maharaja! New Zealand - Annandale - Set along a hidden peninsula within easy reach of Christchurch, this historic working farm offers guests a wealth of outdoor adventures ranging from trekking and mountain biking to kayaking, fishing and cruising the sheltered waters in Annandale’s powerboat. Back at the farm, you can even join the chef for a hands-on cooking class. The four distinctive villas include an ultramodern escape for couples and the fully restored 19th-century homestead that sleeps up to 12. St. Lucia - Jade Mountain – Architect and owner Nick Troubetzkoy designed Jade Mountain with his philosophy of building in harmony with Caribbean nature in mind. The bold architectural design – individual bridges leading to exceptional infinity pool sanctuaries and rugged stoned-faced columns reaching towards the sky – makes Jade Mountain one of the Caribbean’s most mesmerizing resort experiences. Ireland - Adare Manor - Adare Manor, recently named Virtuoso Hotel of the Year, borrows its name from the nearby village of Adare, beloved for its delightful thatched roof cottages, lively pubs, and antique shops. Sitting on the banks of the River Maigue, the historic manor overlooks the fording point from which the village derives its name and welcomes guests with traditional guesto and Craic.